Manufactured with the revered mould-made process, utilizing custom made felts for a unique, highly textured watercolor surface and finish to help achieve the best combination of image quality and image permanence. Designed to deliver a distinctive feel along with rich blacks, a wide color gamut and smooth tonal gradations for the ultimate in quality, both visually and tactility. 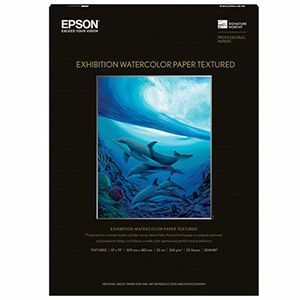 100% cotton fiber and acid-, lignin- and OBA-free, making it an ideal fine art paper for today�s printing professionals.